This publication will be a high-quality, professionally written and produced glossy magazine that will be informative, insightful and interesting. 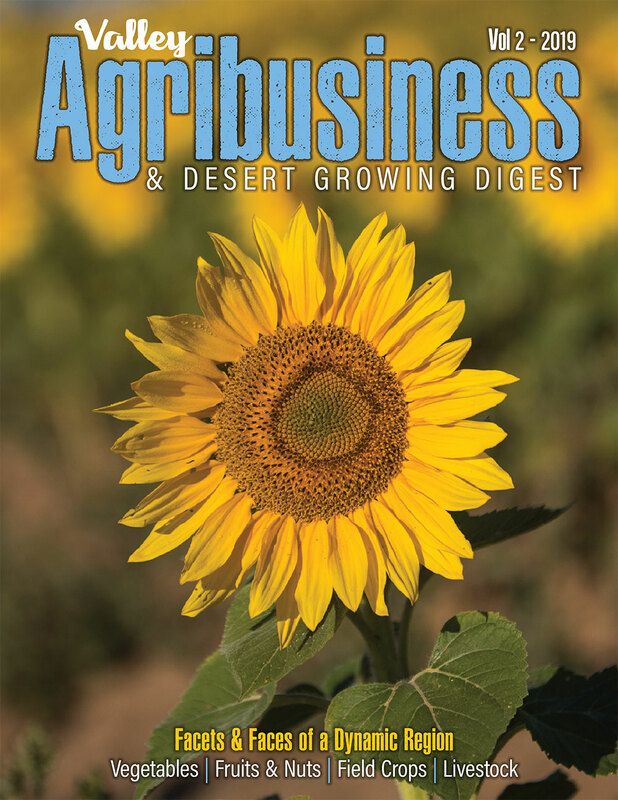 Printed copies will be distributed to members of the Imperial County Farm Bureau and Imperial Valley Vegetable Growers and through advertisers, the county Ag Commissioner’s Office and other high-traffic locations. It also will be available to read online. Inside this first edition, you will find a printed copy of the recently released Imperial County “Crop Report Plus,” which values the county’s industry at $4.5 billion, more than double the value listed in the standard report issued in 2017. Including the report in total is part of this magazine’s commitment to provide articles, data and information important to growers and the agricultural industry. It also will contain stories about interesting people involved in agriculture and will be written in a style that will appeal to anyone curious about what is going on in the region. We expect the magazine will provide a key marketing tool for the agriculture industry and regional economic development. The magazine grew out of the long-held belief at Reliance Public Relations that the region’s bedrock industry deserves more than perfunctory media coverage. Throughout our long careers in journalism and public relations, we have always found the many facets of agriculture and the unique challenges it faces here to be both complex and captivating. We have also found that growers and others in the industry have a wealth of information and a willingness to share when asked. Yet rarely do you find coverage of the local industry that provides the depth, perspective and insight it deserves. The idea that we could do more than voice concern about what wasn’t available has grown since we started publishing the award-winning regional magazine, Imperial Valley Alive!, in Fall 2016. That experience sparked the development of Valley Agribusiness to provide a magazine with the depth, perspective and good reading that agriculture and the region as a whole deserve.